CORONADO (CBS 8) - The recent El Niño storms and high waves have once again uncovered an old gambling ship that has been buried beneath the sand along the El Camino Tower of the Coronado Shores condos for more than 70 years. The remains of the SS Monte Carlo are visible because of the low tide and sand erosion. 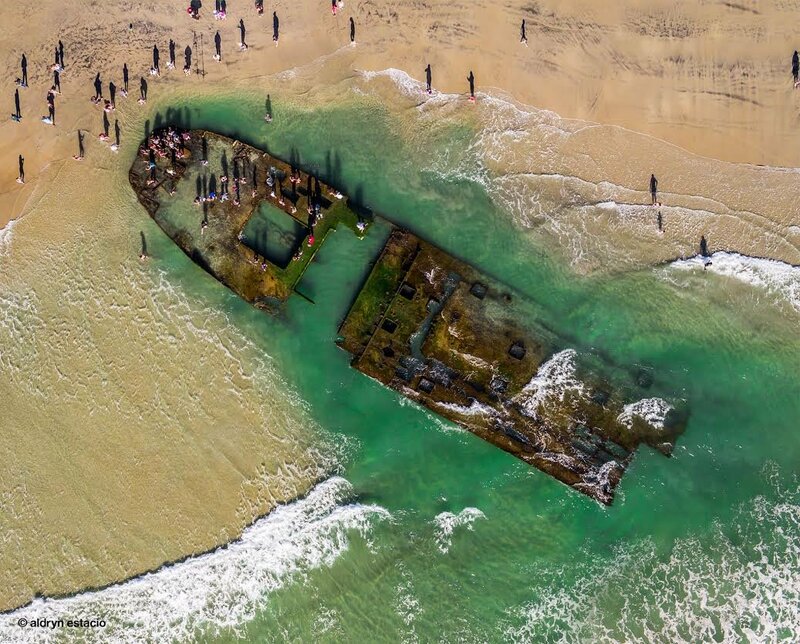 The last time the wreckage of the SS Monte Carlo emerged from the sand was in 2010. The 300 foot ship broke free of its offshore moorings and wrecked during a storm on New Year's Eve in 1936. The ship was home to a casino and other illegal activities at that time. "It was a sin ship. They called it that because you could take a water taxi out to it, and get every kind of thrill that the law didn't allow. You see it was anchored in Mexican waters. And every minister in the land was praying for its demise. And when it finally did crash on the beach here in a vicious storm, every minister in the land took credit for it," said Joe Ditler, a historian. No one claimed the wreckage. The ship was stripped of its parts and the remains have been stuck in the sand since then.